Vote for the Cover of Reborn. 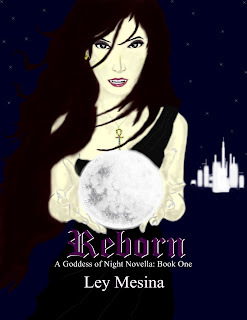 I am doing some revisions on Reborn and am contemplating on changing the cover. Should I leave it the way it is or should I change it? Help me out and vote. The poll is located on the side column. They're both ok. I can't decide. The main reason why I'm contemplating on the book cover is because I don't know if my original book cover gives off that "Anime" or cartoon feel. As much as I love it, I'm having second thoughts on it...which is why I came up with the darker, more realistic image. Okay, so it doesn't show to poll even when I refresh the page. Maybe you took it down, or maybe my computer is being silly. I'll just tell you here then--the black and white cover gets my vote! P.S. Thank you for your vote though.